Who said work can’t be fun? 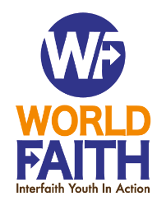 Thank you all for joining us in celebrating 10 years of World Faith and for ensuring our continued success. We raised over $10,000 none of which could be possible without your unwavering trust and faith. World Faith is only made possible by people like you. Thank you for your support and for helping us inch ever closer to our goal of sustainable world peace. Check out some memorabilia from the night of!